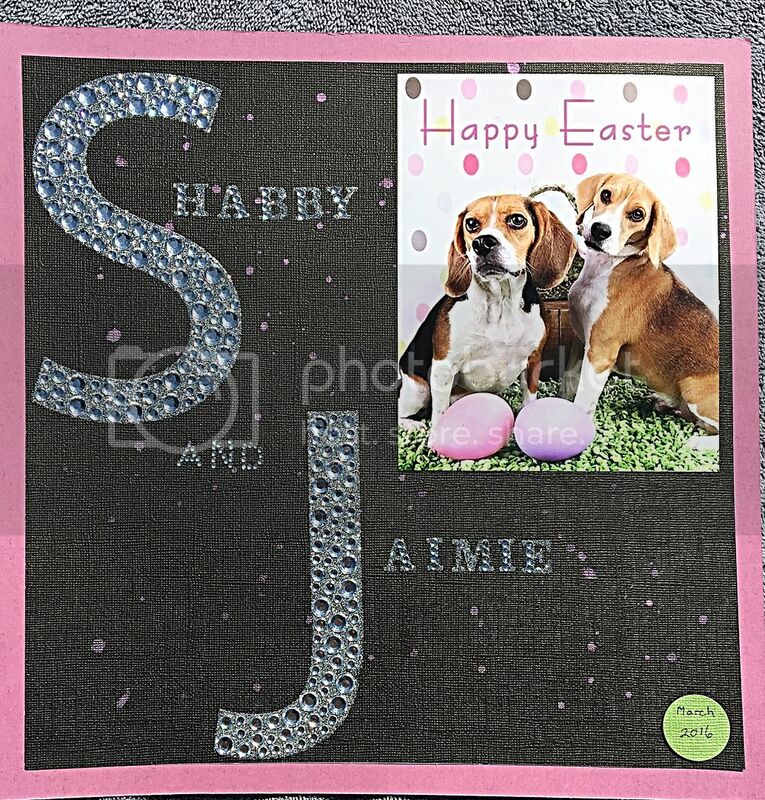 Here is my Layout of my 2 Beagles that my friend took for me this Easter. I wanted to use my big bling letters I got in my Easter Basket and mixed other letters. On the background I used some spray mist and had fun. I hope you enjoy this layout, leave me a comment. 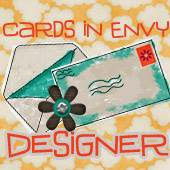 There is a new challenge going on over at Cards in Envy. So this means that the card should have mainly gray with splash of color. Remember it has to be an A2 card that fits in an envelope and can be mailed with 1 stamp on the envelope. You can't make it lumpy or bumpy since the Post Office will charge more. The challenge will run from now until February 1. I hope to see you join us there. Now I will show you what I have done for this challenge. I used a splash of blue to pick up the blue in the accent in the background paper. Hope to see you over there posting your card. Well, I have not posted in months, due to the fact my computer did not want to. So, with no other choice I went out and got a new laptop with Windows 8 and this is so confusing and taking me forever to post. I am trying but so thankful I am back to blogging. My first post will be for Cards in Envy whose challenge started yesterday and is over on January 18, The theme is: Make it a Banner Year, so we just want to see a banner on your card. Now remember that the card must be flat so you can mail it using only 1 stamp. I hope to see you come over and play. Hope you enjoy the card and see you around blog land. Our subject was the men in our lives and I picked my son before his wedding. He would not admit it, but he was nervous and relieved some of the jitters by throwing the football before getting dressed. And here is a closer picture to show the punching and the circles. Just writing this post to let you know the June sketch is up at My Sketch World Blog. I hope to see you come over and play. Such a fun sketch to do, I really love Lucy's sketches. I used Jillibean Paper and card stock. I also used Kreaxions punches to complete the layout. A friend of mine is having a Surprize Birthday Party and the ones who scrap with her are making gifts she will use after the party. 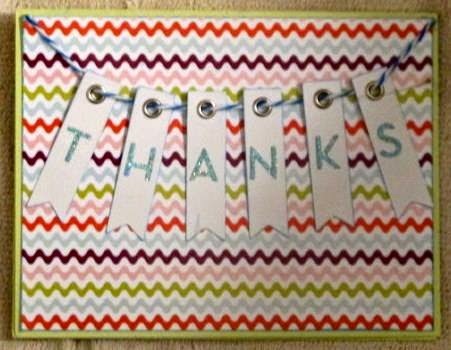 I was given the task of making the thank you cards, 25 of them. So I know her likes are red, hearts, and banners and her favorite is chevrons. I had to think about this awhile and this is what I came up with. In the last picture you can see the chevrons on the top and bottom, it is red, the flower has a middle center of a red heart and last I even used the punch to make a banner ( just by trimming it after the dip in the chevron between the two points). I can't wait to see her face next week. 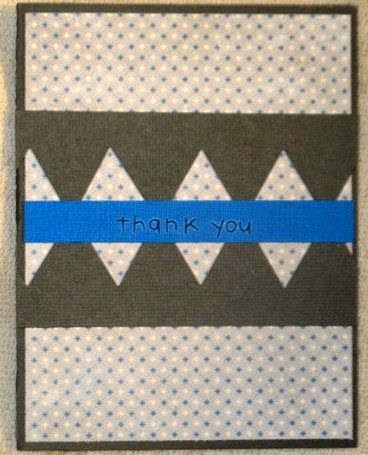 I think I will make the gift pack for the cards like Bev showed us yesterday ( Saturday) and put half on each side. The punches work in anyway you want them to, just takes some imagination. This is the kit I was lucky to work with. It is really cute, especially the birdies. It is called "Devoted", go over and. Check it out. Here are the cards I made with the kit and I still have paper left. Like I said paper was left, so I made some gift tags. 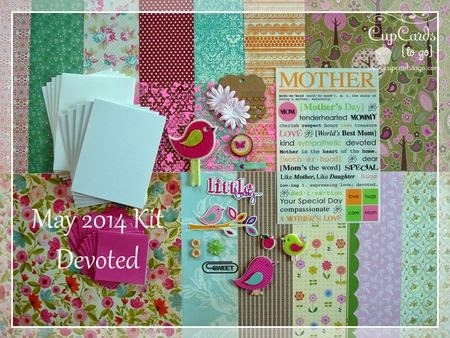 This kit is very easy to create with. Check out the site and hope to see you play the challenge. Love My Followers*=-)* You make me happy! Introducing Design Team Member Patty Folchert! Thanks for coming by hope to see you soon!